I’ve been thinking about my dad a lot this week. One memory in particular. It was the late 1980s and I was still a college student. We were at the Burger King in Arrowhead Plaza, in Jonesboro. We had already eaten and were heading back out to the car when we spotted a strange looking truck parked off to the side of the restaurant facing toward highway 19/41. The truck looked like it was covered with scaffolding – interconnected pipe rails ran from the front of the truck to the back, and the bed resembled a set of risers stepping down to the ground the further back it went. It looked crazy. Behind that truck was a strange low-slung trailer. Dad and I walked over to take a gander at the rig as the driver climbed out of the truck. Although it was clear that we were interrupting his lunch break he graciously took the time to give us a quick tour of his unusual ride. I think my dad and I already suspected that this peculiar truck had something to do with making movies, which the driver confirmed. We learned that thing we were looking at was called an Insert Car (even though it was a truck), and the thing it was pulling was a Process Trailer. 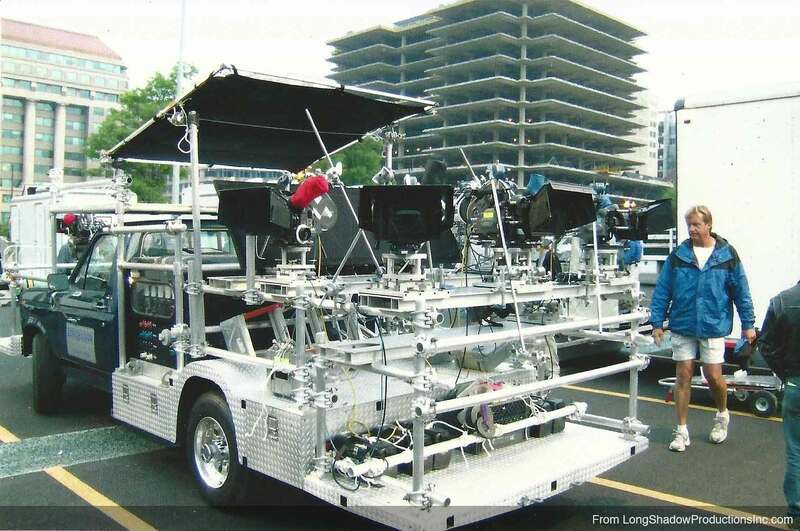 The pipe rails were used for mounting lights and cameras, and the trailer was where a car would be placed. 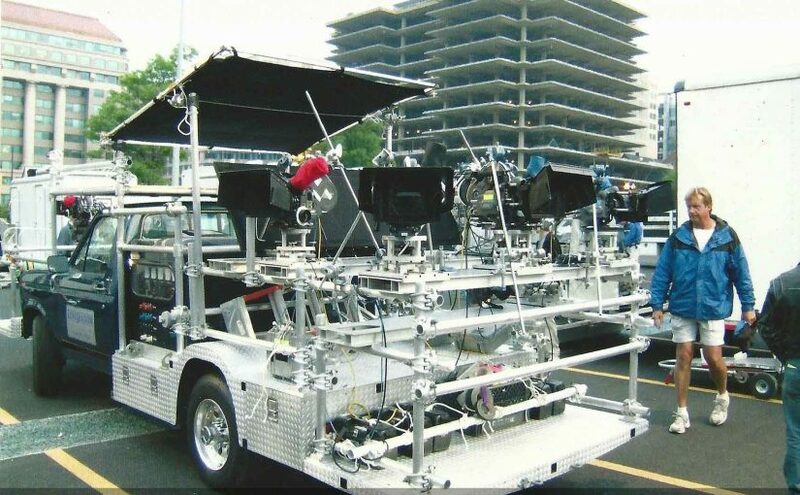 With actors in the car, and movie lights burning, and cameras rolling, this driver would take his rig out onto the roads while a movie director would sit outside on the back of the truck directing the actors who were busy pretending to drive down the road. This truck and trailer rig was pure Hollywood! My dad and I undoubtedly explained to the driver that we had recently been flown to London to be extras in the Batman movie, to let him know that we knew a thing or two about moviemaking. He was patient and courteous with us and we thanked him as he headed on inside to grab a bite while we continued studying this exotic contraption parked in our little corner of the universe. It would be another two or three years before I graduated college and ran off to join the movies, but soon enough I would find myself working alongside that very driver and many other men and women from Atlanta’s small filmmaking community – people who had made movies that I thrilled to as a kid… like “Smokey and the Bandit“. That driver’s name was Gary Duncan, and he was patient and courteous and everybody liked him. I can’t recall if I ever told him the story of me and daddy meeting him there at that Burger King, but sure I hope that I did. His passing came as a double shock, as we had only just learned of the passing of longtime Production Coordinator Teresa Yarbrough a few days prior. Gary’s family will lay him to rest on Saturday, and later that evening the family and friends of Teresa will gather in her honor at a studio on the north side of town. 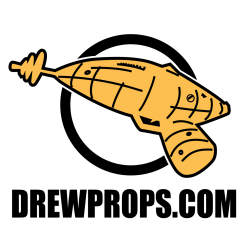 Link to Gary’s business website – Longshadow Productions Inc.